This website has been developed using modern web technologies. The web browser you're currently using is outdated and may not support such technologies and as such your experience on this website may be degraded. 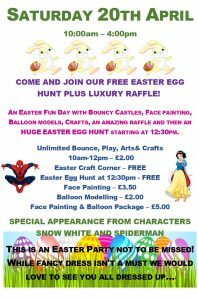 An Easter Fun Day with Bouncy Castles, Face painting, Balloon models, Crafts, an amazing raffle and then an HUGE EASTER EGG HUNT starting at 12:30pm. 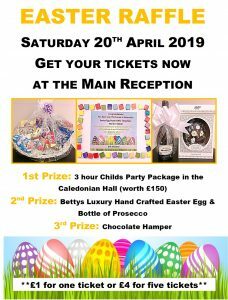 This is an Easter Party not be to missed!….While fancy dress isn’t a must we would love to see you all dressed up!